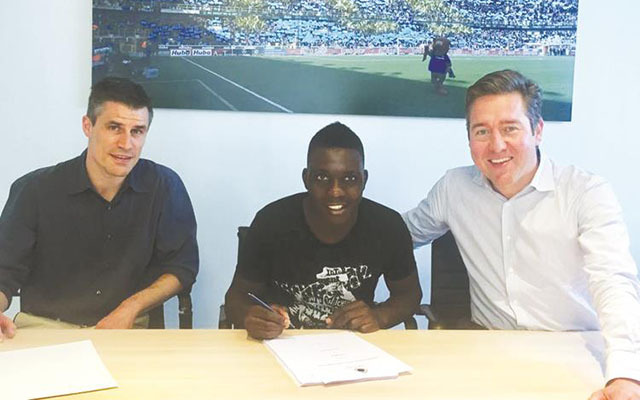 ZIMBABWE international Marvelous Nakamba sealed a four-year deal at Belgian giants Club Brugge after passing his medicals yesterday. The 23-year-old midfielder completed his switch from Holland, where he starred at Virtesse Arnhem, to join the most supported football club in Belgium. “Marvelous Nakamba just signed for four years at Club, after his medical and physical tests! #WelcomeMarvelous!’’ the Belgian club said on their Twitter account yesterday. Nakamba had to cut short his holiday and leave Bulawayo for Belgium on Sunday for medicals. Speaking from Belgium on Monday, Nakamba told our sister paper, Chronicle, he left the country on Sunday. “I left yesterday (Sunday) and I am having medicals today (Monday) and tomorrow (Tuesday). Hopefully if all goes well by tomorrow (Tuesday) afternoon, it will be official that I’ve joined FC Club Brugge. “Now that I’m likely to move away from Vitesse, I will miss the Europa League, but if all goes well, I could be playing in a bigger competition, the UEFA Champions League,’’ said Nakamba. And the Belgian club announced the deal and posted pictures of Nakamba with his new shirt and putting pen to paper. Club Brugge have won the championship 14 times and on 11 occasions they have also won the Belgian Cup. They are the best supported team in their country. Their best campaign in Europe came during the 1977-1978 campaign when they reached the final of the old European Club Champions Cup, which is now called the Champions League, only to lose 0-1 to Liverpool before 92 000 fans at Wembley. Nakamba will link up with his Warriors skipper Knowledge Musona in the Jupiler Pro League. Musona’s club KV Oostende will be featuring in the Europa Cup this coming season. Nakamba began his European career in 2012 with French side AS Nancy before he joined the Dutch club in 2014. He was reported to be set to move to English giants Everton or Turkish powerhouse Galatasaray during this European off-season. Given the bigger profile of the clubs which had put Nakamba on the radar, there are some who will view that his move to Belgium represents a step backwards although, given his age, he can still make his impression and attract bigger suitors.